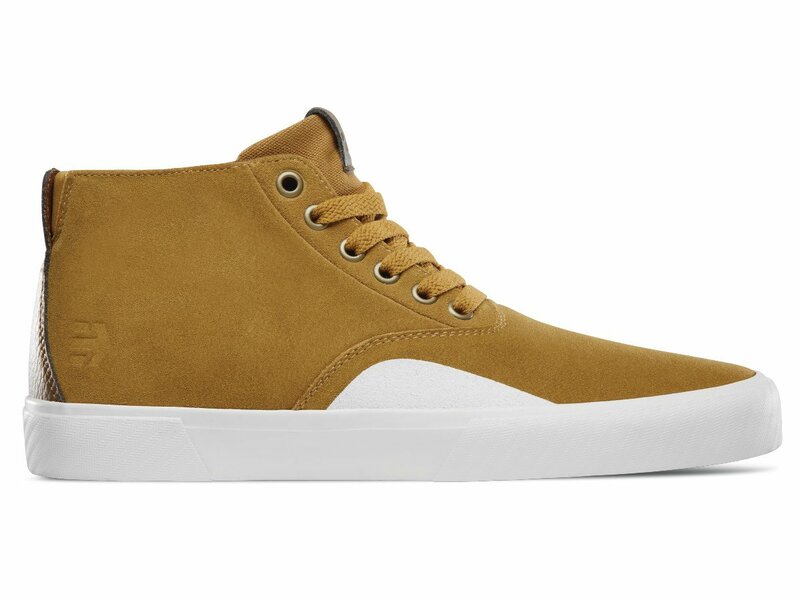 The Etnies "Jameson Vulc MT" Shoes - Tan/Brown/White (Devon Smillie) are the signature shoes of BMX pro Devon Smillie and will work very good for BMX riding. 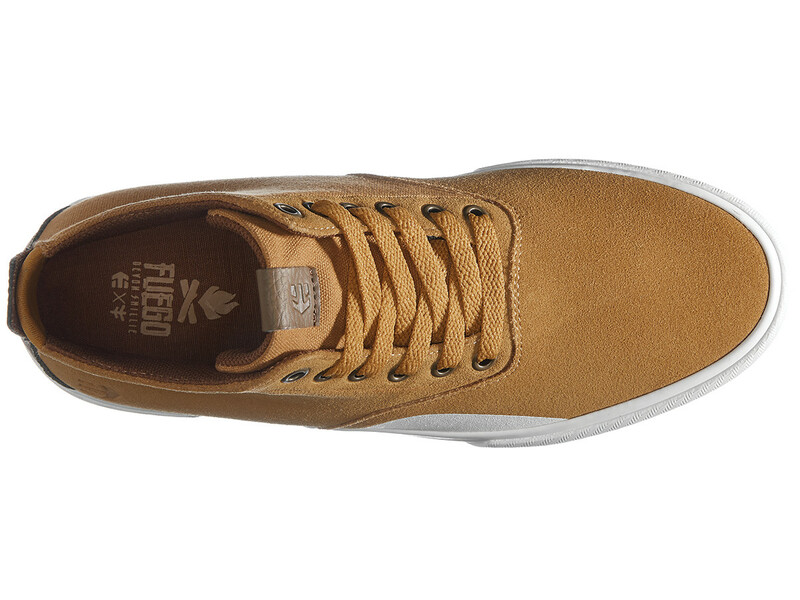 The Etnies "Jameson Vulc MT" Shoes - Tan/Brown/White (Devon Smillie) are the midtop version of the famous Jameson Vulc. Built on a slim last with minimal padding, this midtop includes elastic tongue straps for a superior fit and an inset lycra spandex in the Achilles for comfort. 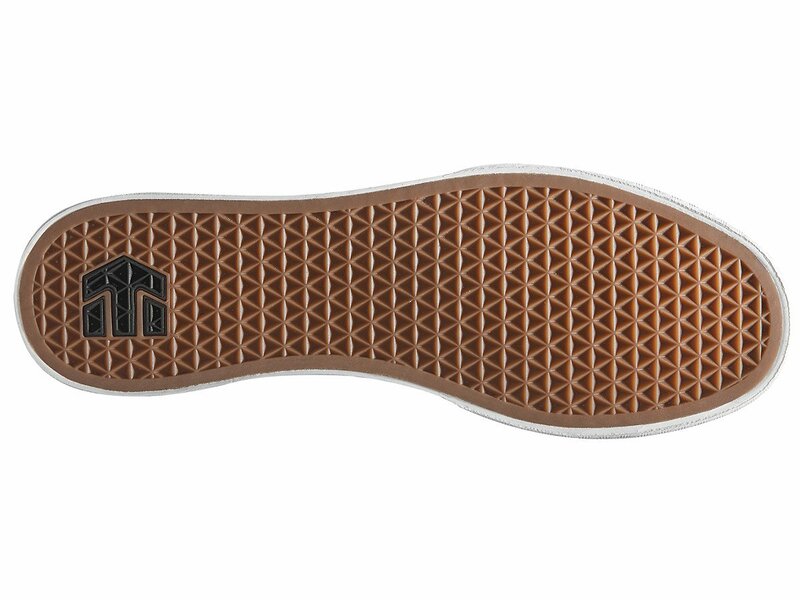 With a vulcanized outsole, an exceptional Geo-Hex tread pattern and a rubber printed ollie guard for added durability.